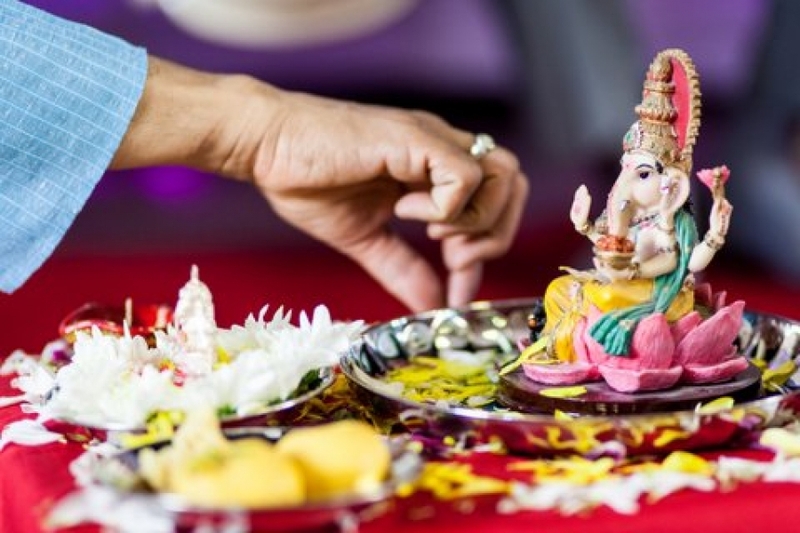 I have been officiating as a Hindu Priest in North London for the past 15 years. I demystify the meaning of the Sanskrit mantras in English from ancient Vedic Scriptures. 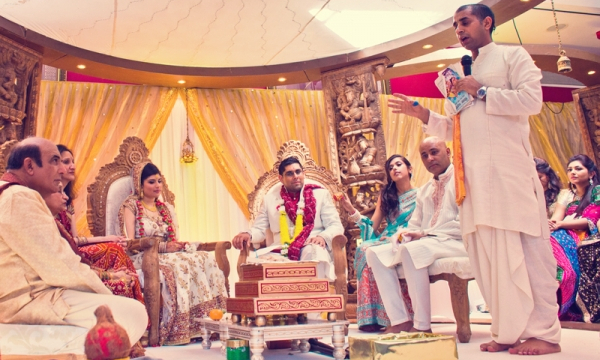 Hindu wedding unites two individual souls spiritually, mentally and physically. 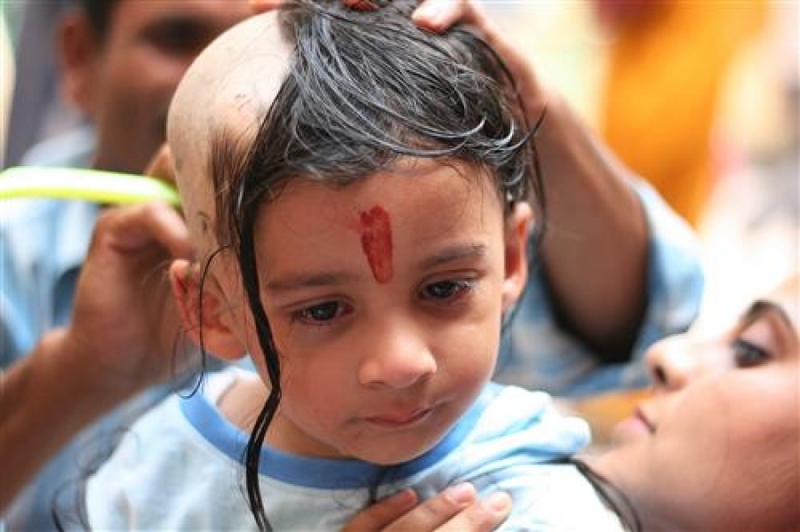 The ceremony will be conducted in Sanskrit, one of the most ancient languages of the world, and is translated in a simplified way by the Hindu priest. Most of the Mantras (hymns) chanted by a Hindu Priest are taken from the Rig Veda, Yajur Veda and the Puranas. 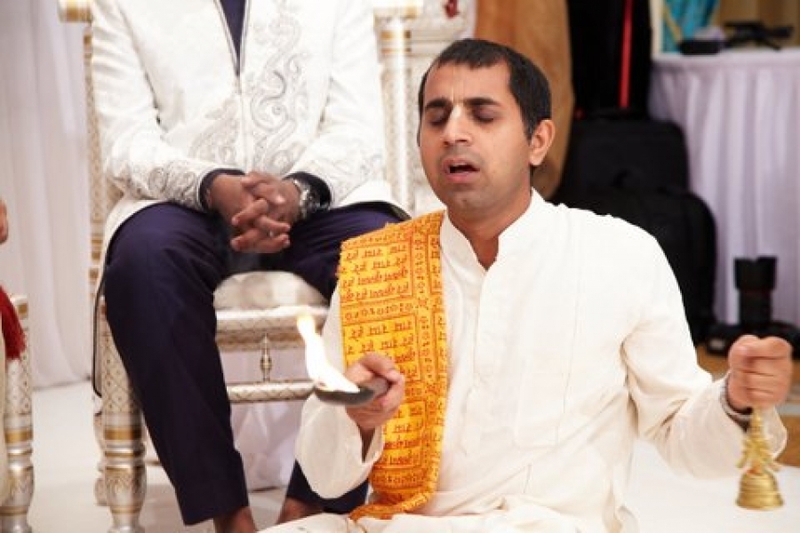 Hare Krishna Arjun bhai, thank you again for doing our ceremonies we really enjoyed them. Your warmth and humor made our wedding feel special and meaningful. We think by including our guests you helped set a positive and inclusive tone which carried on into the reception and people joined in throughout the night. I have some pictures of you that you might like and so will email them to you in due course. Many thanks again! 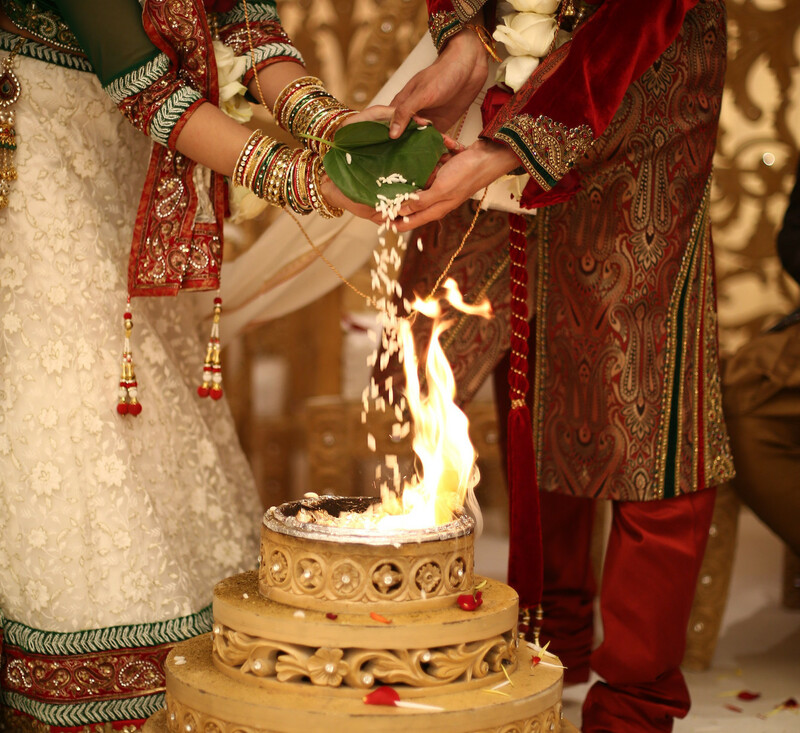 We’d like to thank you for all your efforts and hard work during our ceremony on 12th April at Glazier halls, London Bridge, all our guests commented on how they enjoyed your ceremony &how it was informative and fun we both also enjoyed it and cold not have wished for a more perfect ceremony. So much for such an amazing service at our wedding. You really caught the imagination of the audience & we have received so many compliments for your service. I wish you all the best in the future where ever you settle and hope to meet you again come day. My husband and I very much wanted to thank you for a such a wonderful service, particularly for the way you explained everything as the ceremony progressed and how you involved us all. 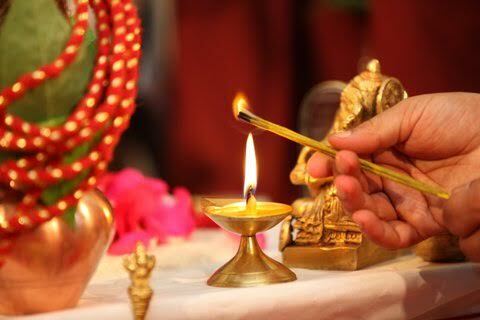 It was a very special day from start to finish, but the Hindu Ceremony will remain long in our memories as a very emotional and moving occasion, full of symbolism and meaning I know that all my family join with me in thanking you very much indeed. 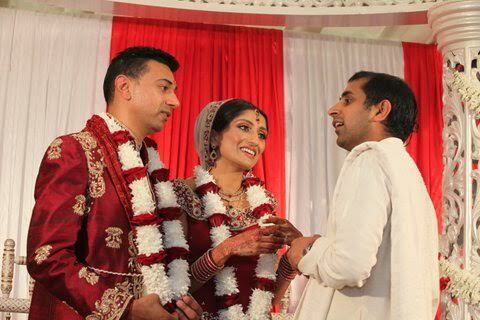 It meant so much to see the tow young people, Alex and Nisha, making such important commitments to each other in front of all their family and friends with the blessing of their faiths.